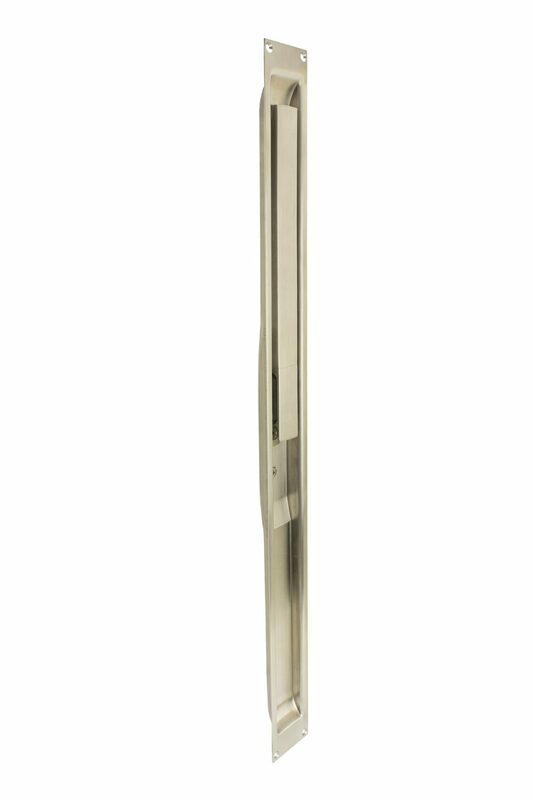 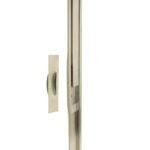 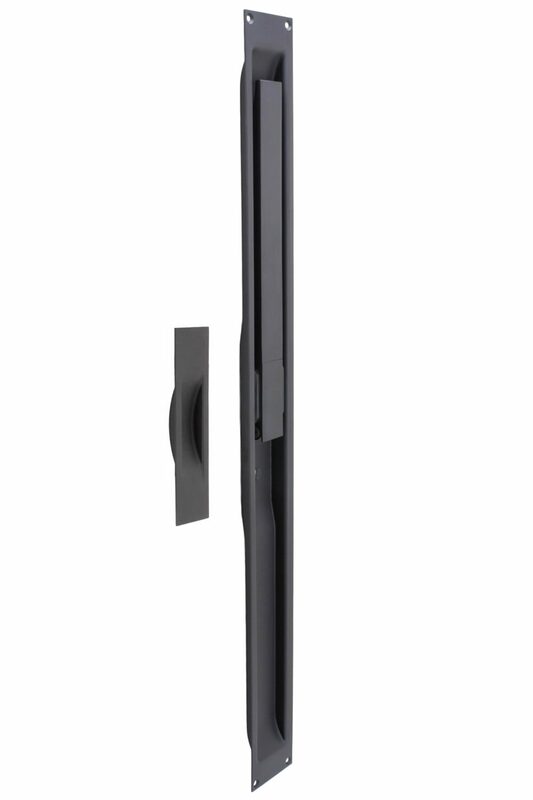 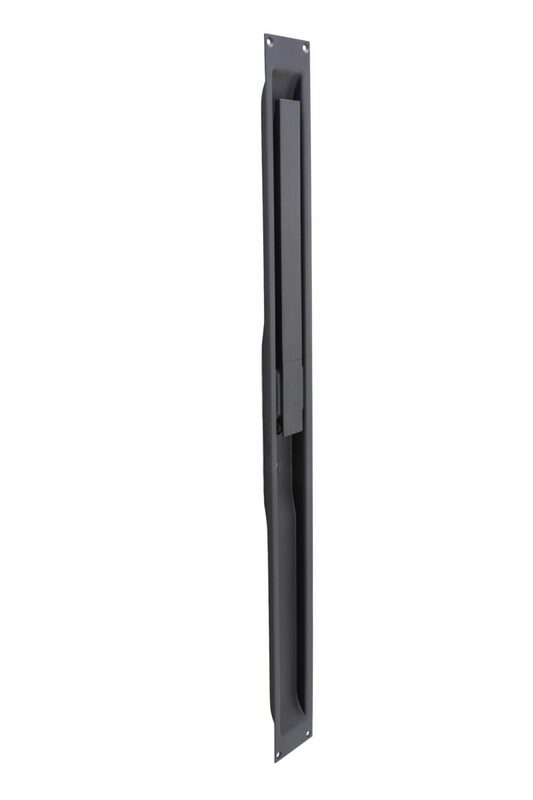 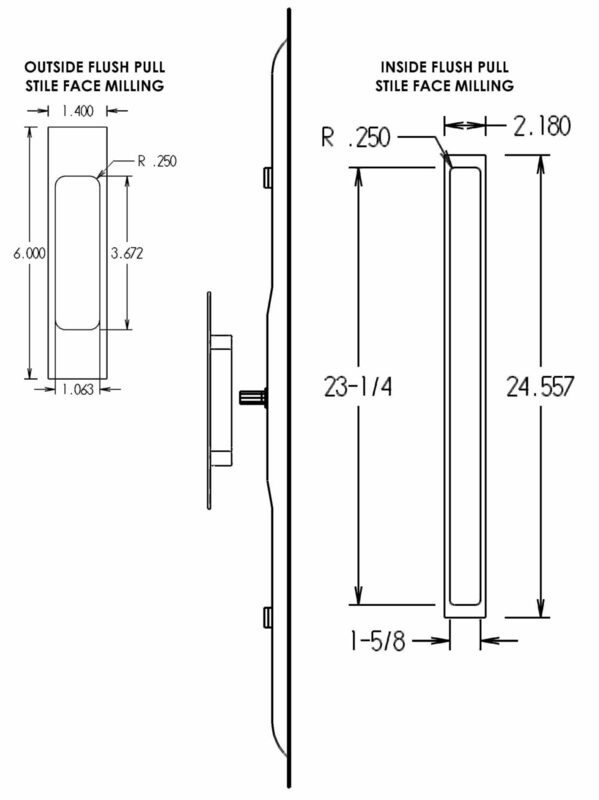 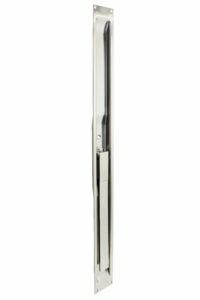 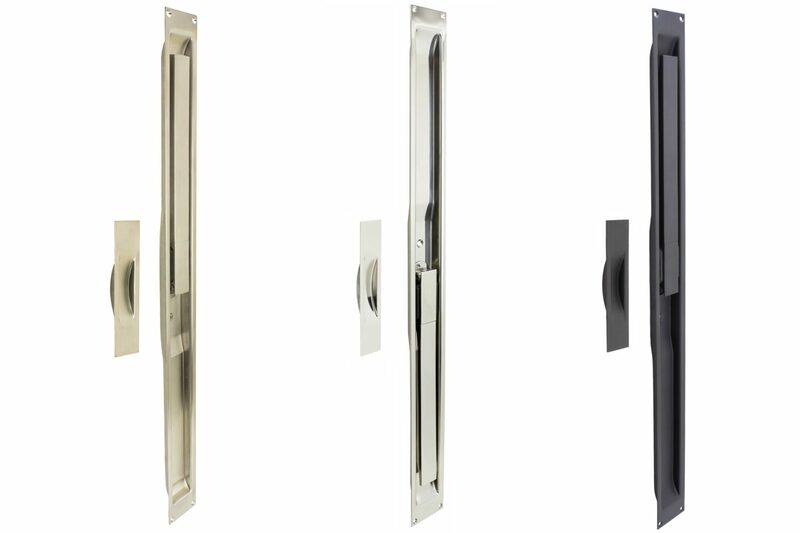 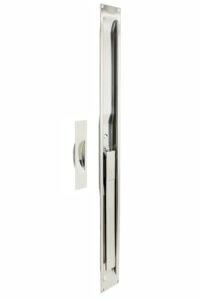 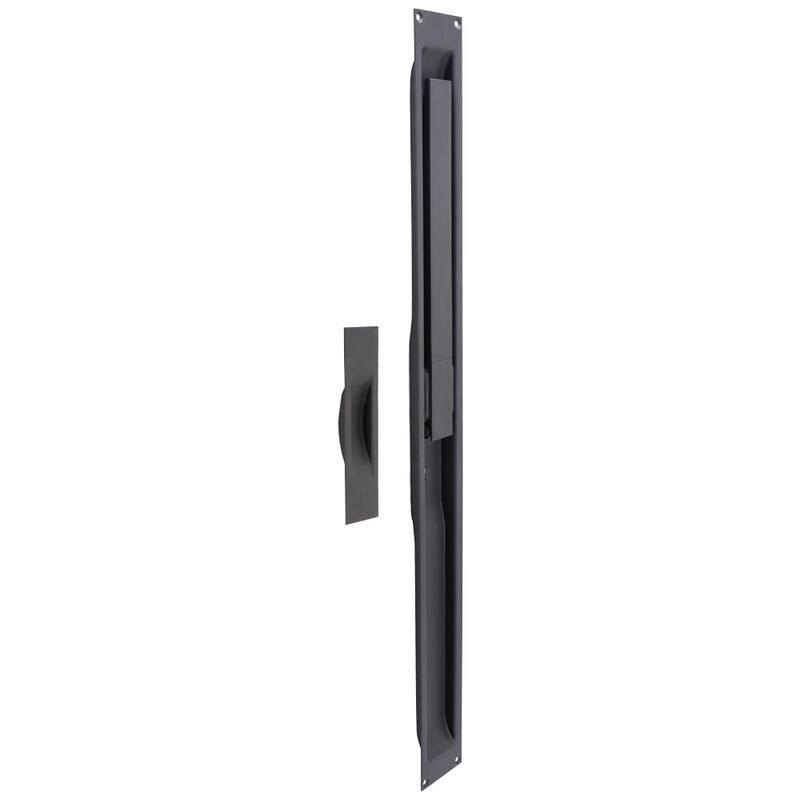 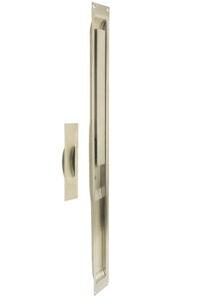 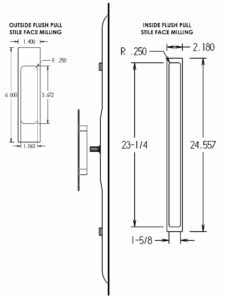 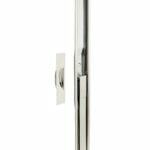 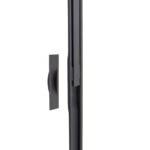 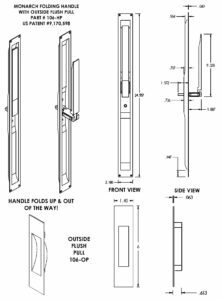 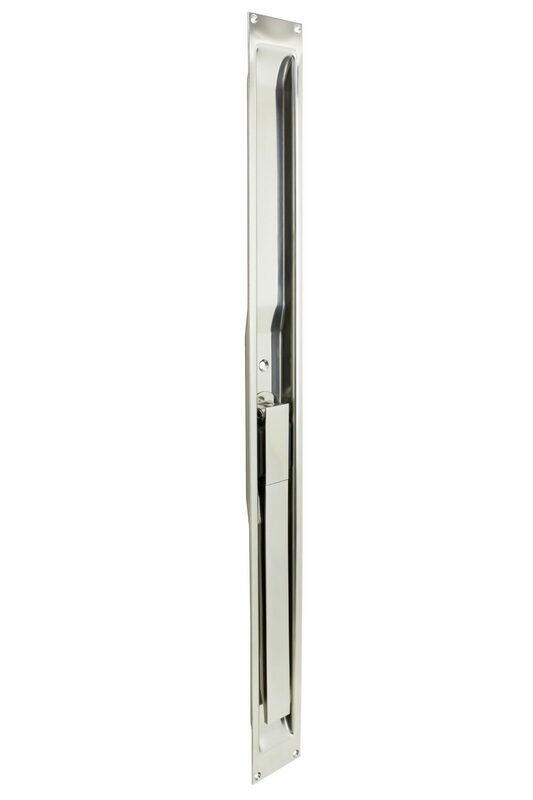 Monarch Folding Lift & Slide Handle w/Flush Pull – Polished S.S.
Monarch Folding Lift & Slide Handle w/Flush Pull – Satin S.S.
Our Monarch Folding Lift & Slide Handle is the ideal solution for your Lift & Slide doors. 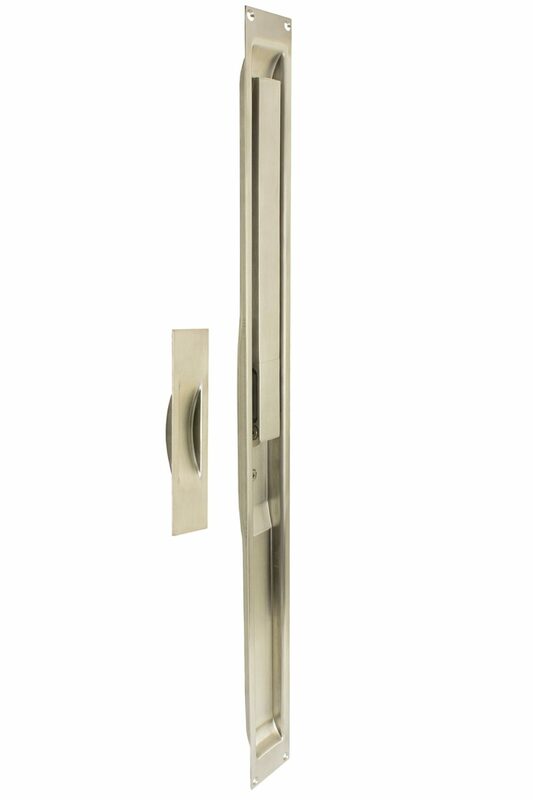 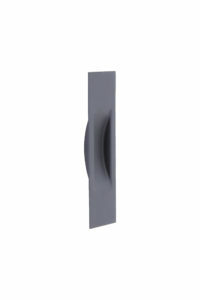 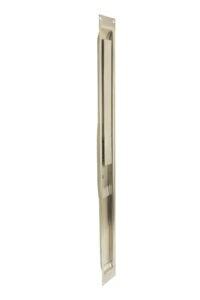 This flush handle is a perfect alternative to removable handles. 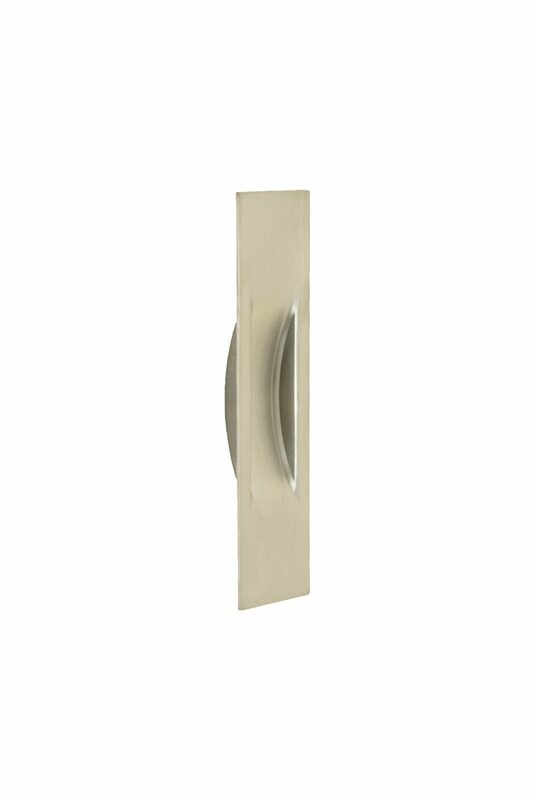 Interior handle assembly with exterior flush pull. 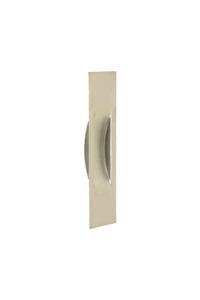 Interior handle assembly with no exterior flush pull. Includes the 265 Backing Plate which installs inside the door behind the mechanism to allow for mounting of the interior handle. 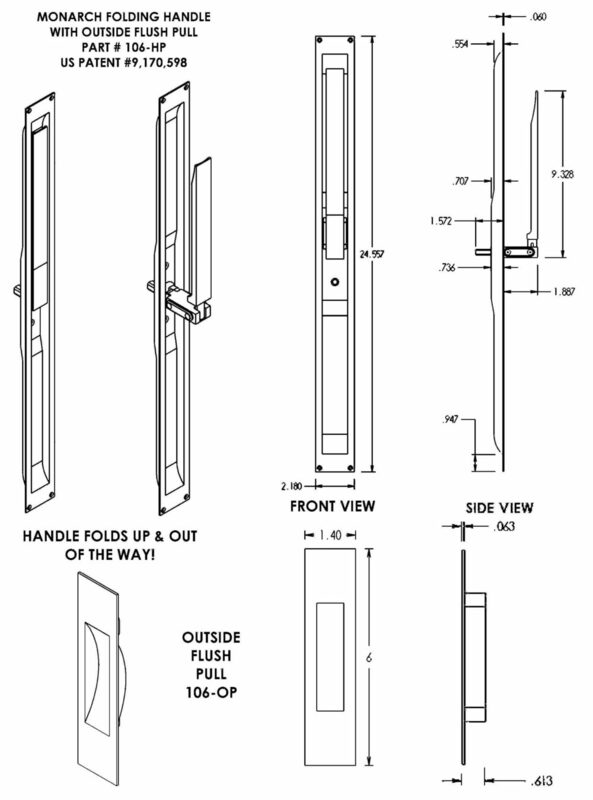 Exterior pull only (no mounting screws). 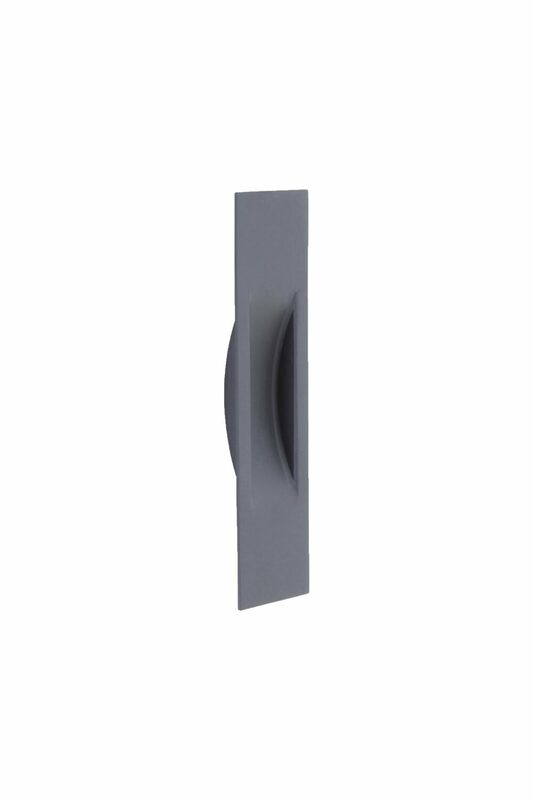 To be used if replacing an exterior pull from another manufacturer. 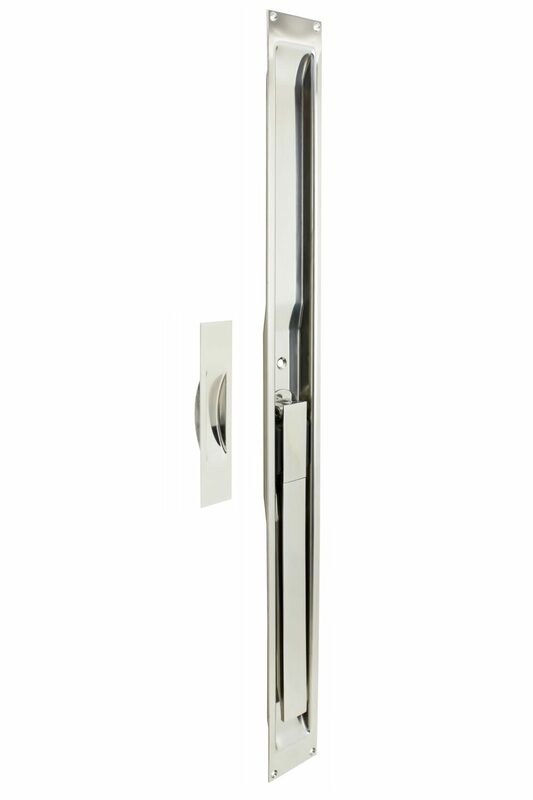 Pull would be mounted with the screws from the existing interior handle.